The reversed Queen of Pentacles reminds us to stay in touch with the beautiful, simple things in life which are all around us. Find joy in the simple things: a sunset, a child’s laughter, a good meal. This will help you keep your center. Generally the 6 shows at least a slight reduction in stress and strain. Things may not be perfect, but they are going to be better than they may have been in the recent past. An older man, likely to be dark-haired, may be rubbing you the wrong way now. Try to look beyond his exterior and consider what it is that he may have to offer you that can be of use. Don’t get too irritated if he is trying to tell you what you “should” do; take the parts of his advice which are useful and ignore the rest. The Queen of Wands can also refer to a woman who has a lot of fire energy about her e.g. Aries, Leo, and Sagittarius. When not referring to a literal person, she stands for getting a lot accomplished, and often, a focus on work/career. The Queen is positive, uplifting energy. When she stands in for a woman in your life, she’s a good friend, who is solidly on your side, even though she may seem a bit self-absorbed. If you are trying to conceive and this card appears, it’s one of the most positive signs that there can be. When reversed, the Hierophant is still very much about “doing the right thing.” In reversal, however, it indicates a more-than-normal level of confusion about what exactly the right thing is. The answers are within you… if, that is, you have enough information about the situations at hand. In this reversal suggests that you may need to dig a little deeper to find out “what’s what.” Remember that the “right” thing is what is right for you also. In general the reversed 2 of Swords tells us that your partnerships are likely to deepen and become more important in your life, and this refers to partnerships of all kinds. However, beware putting too much emphasis on any one partnership. You have several that need to be priorities in your life. Things in general are very likely to be going very well for you, even when you draw the reversed Sun. When this card is reversed, it’s particularly important for you to make an effort to literally count, and stay focused on, your “blessings.” No matter who you are, or what is wrong in your life, you undoubtedly have things to be thankful and grateful for. Stay mindful of these things, and you will bring more blessings into your life. This is a great time to socialize, to meet new people, and to get out and about. You may be feeling guilty about something when you receive the reversed 8 of Wands. Remember that there is nothing that can be changed about the past; the only good thing that guilt can create is a change in future behavior. Sometimes the best thing to do is to forgive yourself. But your conscience is there for a reason. Don’t ignore it. You may have the mistaken idea at your deepest levels that you are not very attractive. If you are feeling this way, give the matter some thought and recheck. You have things to offer on every level – give yourself some credit. The Empress reversed suggests that you need to get more in touch with the love and happiness that flows within you. Meditate. Unexpected good fortune could be headed your way when this card appears. Still, that doesn’t mean to throw away all your hard work and simply sit back. All good things are added to when we make efforts and when we make a point to share and give to others, in whatever way we can. Just do your best. The 3 of Cups is often considered to be a card of “reunions.” But this is not always a romantic reunion, alas… it’s reunion in the broadest sense, running back into (or meeting with, purposefully) someone or something that you have been away from for some time. It’s generally considered to be a happy reunion, an upbeat card. Ready for your own personalized Tarot Reading? Just remember to mention the spread you have chosen in your request. GET AN ID-DEPTH READING FOR $3.00 (50%OFF!) NOW THROUGH SEPTEMBER 2018! This Offer is Temporary and will not continue much longer! Get a Free or Paid Reading today! 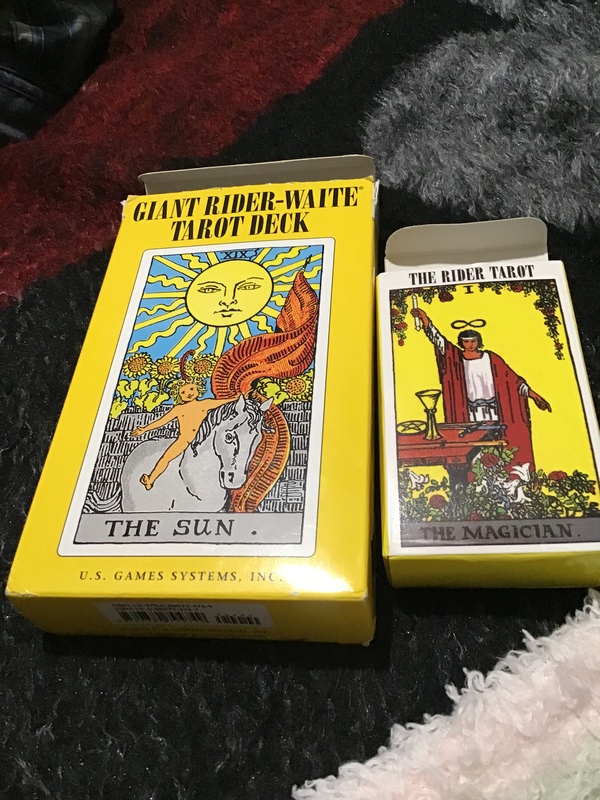 The interpretations for the tarot cards chosen for this “Daily Tarot Reading for the Zodiac,” have been slightly changed but are credited to: PsychicRevelations.com, and all appropriate persons in ownership of the site’s content.